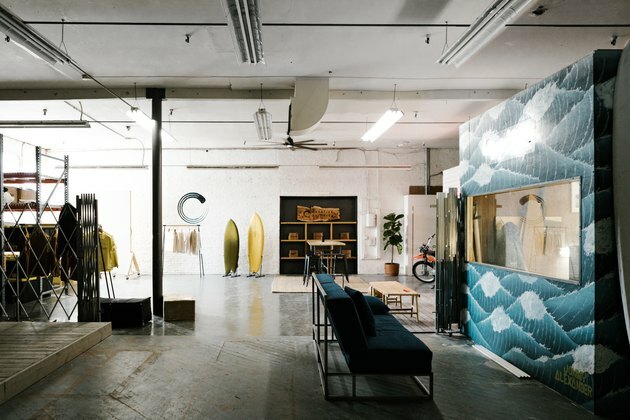 Four years ago, Mike Lynch's creative agency fit into the smallest office in the Moniker Warehouse — the 18,000-square-foot mixed-use creative space that took over the historic Snowflake Baking Company building in downtown San Diego's burgeoning Arts District. 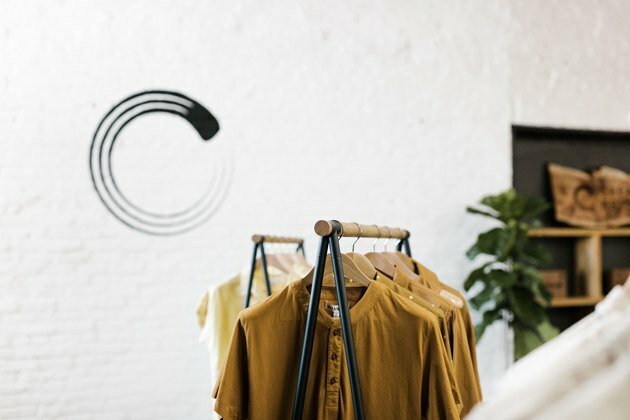 Now, Creative Priority, Lynch's umbrella brand, has taken over the entire second floor, which is an ever-changing tableau of businesses centered on Lynch's vision of the urban outdoors. At the heart of the sprawling space is Lynch's shaping bay. 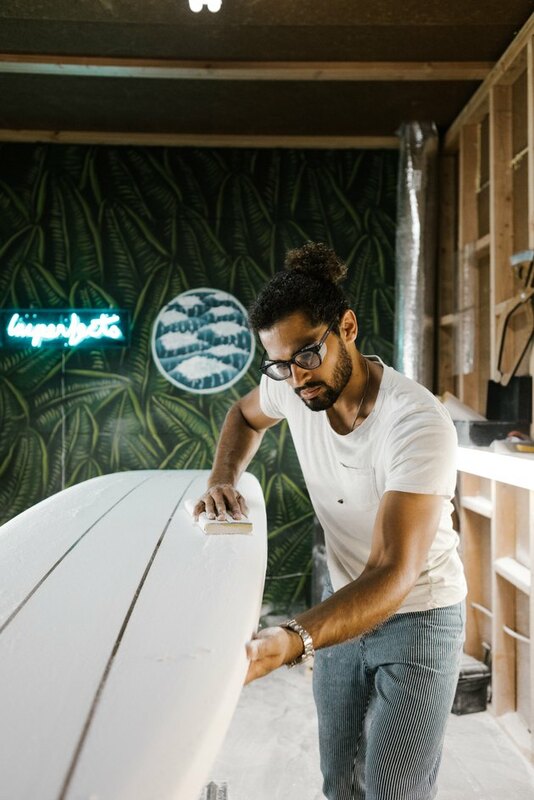 An avid surfer, he shapes surfboards under his personal brand, Imperfects. The boards are glassed at Gordon and Smith, a San Diego mainstay that dates back to 1959. "I'm so honored to work with them," says Lynch. The moody-hued boards — think olive cream, marigold, indigo — lean against the warehouse walls, available for purchase, by appointment-only. Jonny Alexander, a friend of Lynch's, painted the bay. 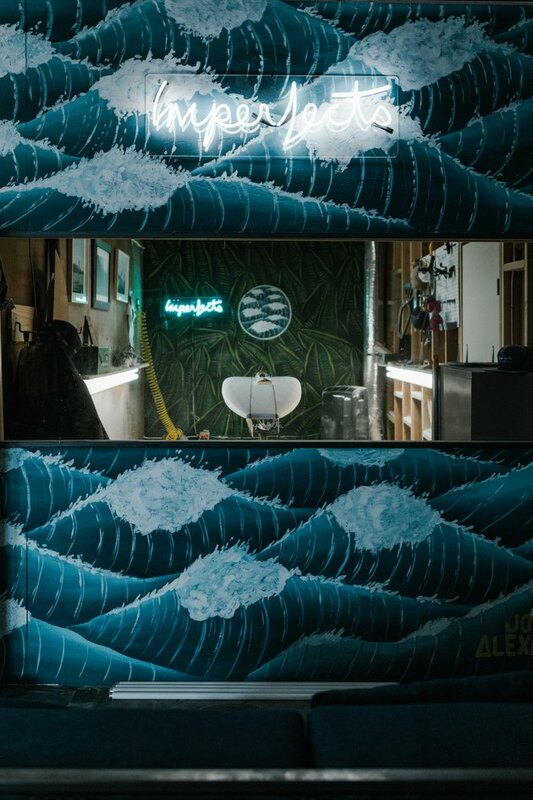 The exterior — all oil on wood — is reminiscent of the classic Japanese wave print, while the interior jungle print was inspired by a surf trip. The second circle of waves inside is metaphorical, in nature. "The idea is that you see the waves on the exterior, then you look through the window into the jungle, and the second window takes you back into the waves," explains Lynch. 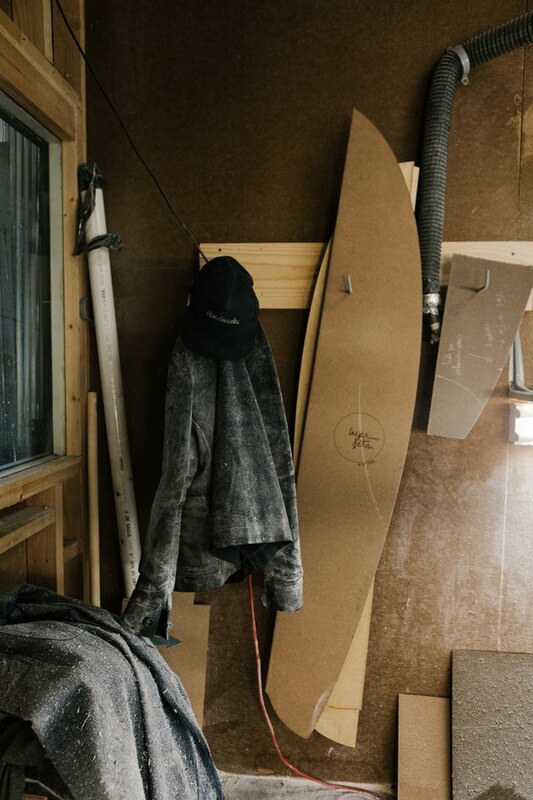 "Jonny loved the idea of an infinite flow back into the ocean, no matter where you are." 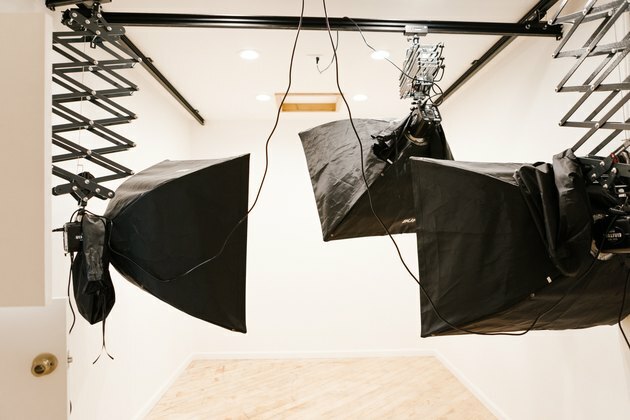 Next to the bay is a new closed-room white space studio, where creative content and product shots for the various brands Lynch represents is shot. A vintage rolling ladder from the San Diego Public Library, which he says dates back to the '30s, leads to a porthole on top, where in-house photographers can get a new angle. And across is what Lynch calls "the whiskey tent," a casual meeting space for clients that looks directly at the shaping bay. There, a 1920s-era lathe from an ancient welding machine serves as the base for a 12-foot piece of white elm. 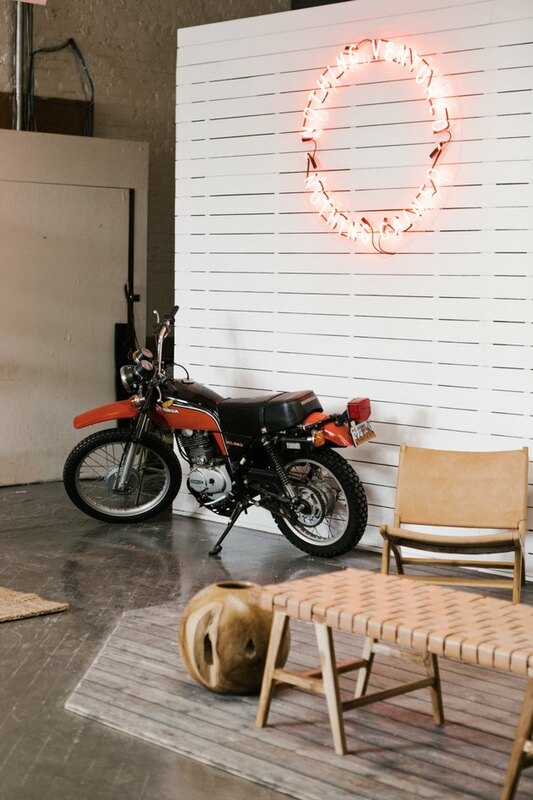 Recently, there were pieces from a deconstructed motorcycle alongside some well-oiled leather. Tomorrow, it all could change. It's those highly specific touches that make the Creative Priority space such a representation of Lynch's own aesthetic. The clothes — from Roamers, a Creative Priority brand, but also from Imperfects, Lynch's own brand — embody a very right-now mix of utilitarian and luxury. He travels to Japan every year to source fabric; the rest is designed by him and made in America. "What we do [is], we work to bring together global fashion and outdoor retail," Lynch explains. "I felt those institutions should meet and become one." 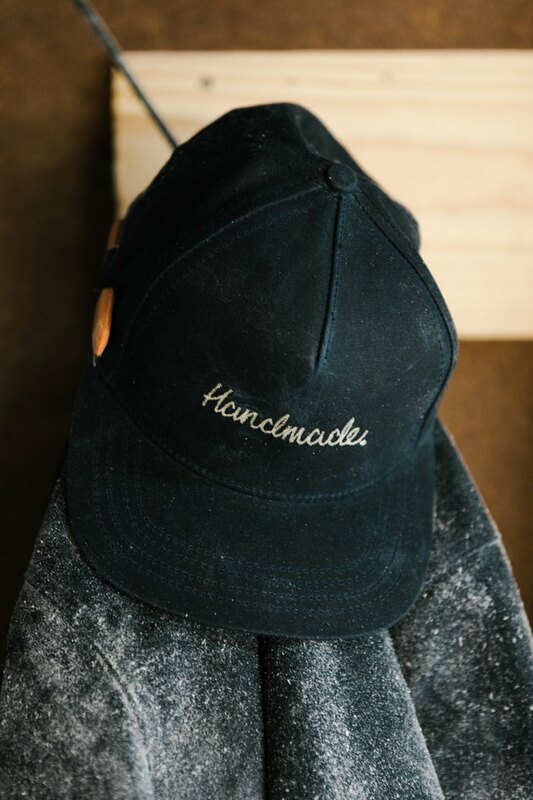 And it's all held together by a deep belief in the handmade. Lynch says the entire Creative Priority space is a reflection of his POV, if not his own handiwork. "If you're not involved in what you want to create on a daily basis, are you actually the one creating it?" he says. 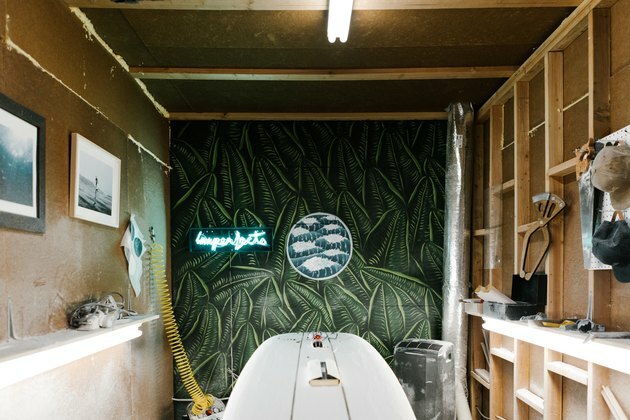 Through his own brand, Imperfects, Lynch creates and sells apparel, accessories and surfboards. (Footwear and skateboards, coming soon). 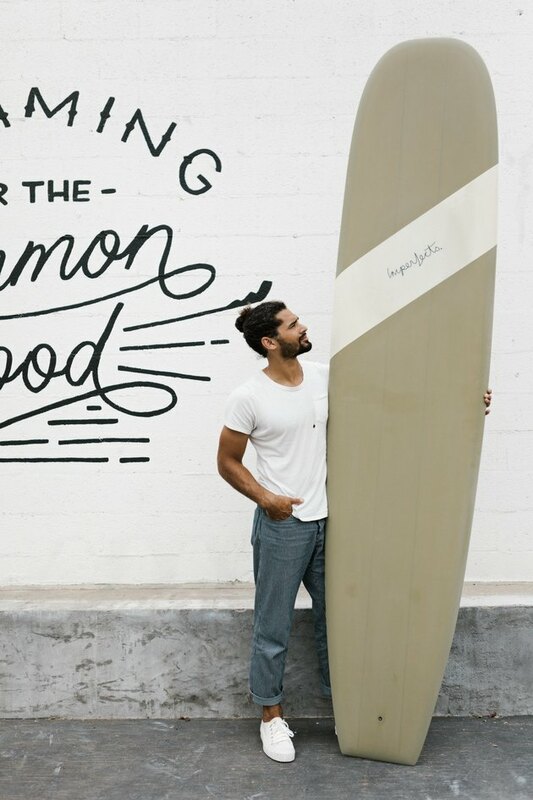 "Everyone says retail is dead, but my thought is that it's just being reborn, being remade by millennial class, tasteful and thoughtful people who care about where their garments are coming from as much as where their food is coming from," says Lynch. "Tech-y outdoor is going to have its day." Lynch's belief in the handmade shows up in the end products, as well as the smallest details. Like the rest of the industrial warehouse space, raw, unfinished details are common. 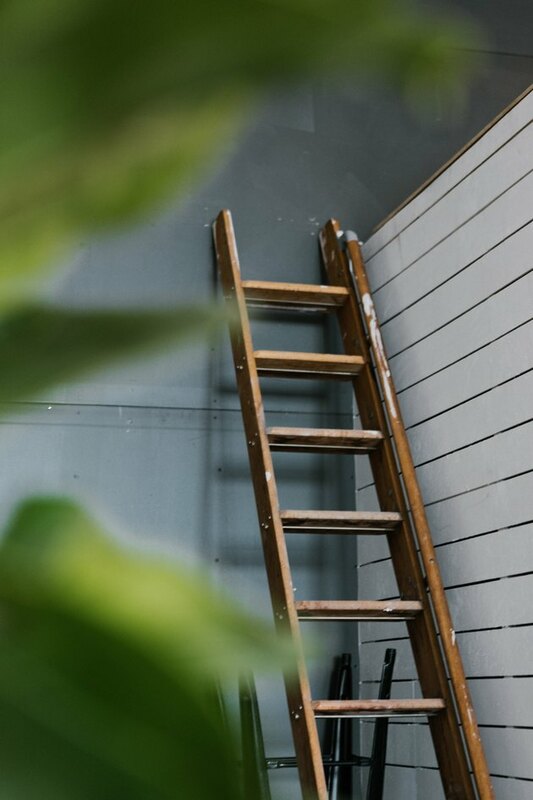 The vintage library ladder leads to the roof of the photo studio. As a vertically integrated creative agency, Creative Priority produces most of its own creative content, including photos and videos. The floors in the photo studio are original, dating back to 1913. "The building has so much character, especially in what's left behind," says Lynch. One of Creative Priority's primary mantras is to create every day. "In this warehouse, if you can't create every day, then you have a problem," says Lynch. 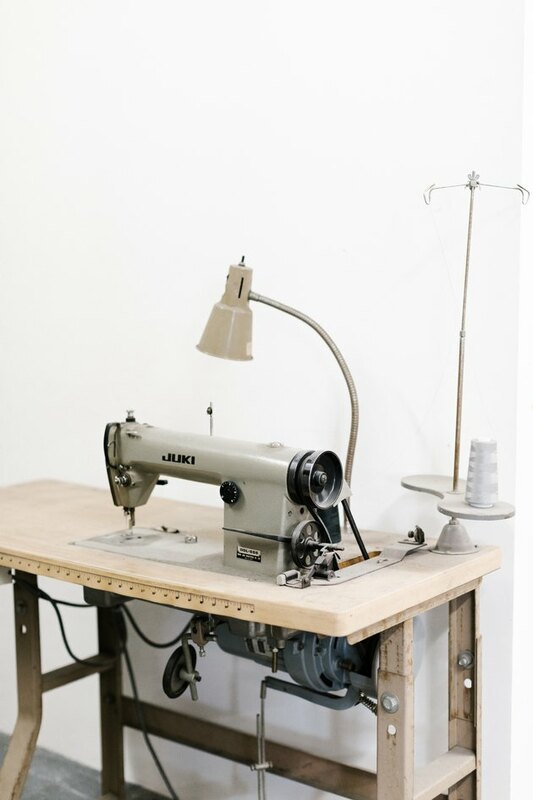 "You're surrounded by materials, by forms, by tools, the sewing machine — all of that stuff is here at your disposal." 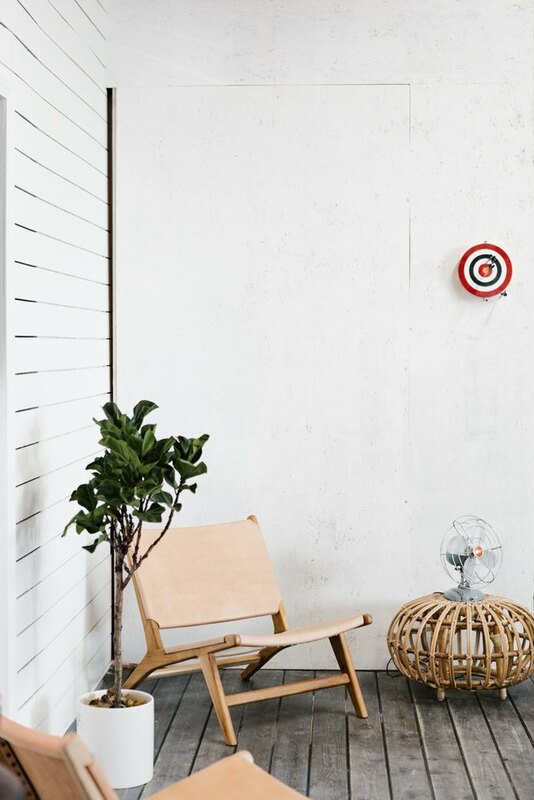 Smaller design details throughout the space have a spare, vintage feel. 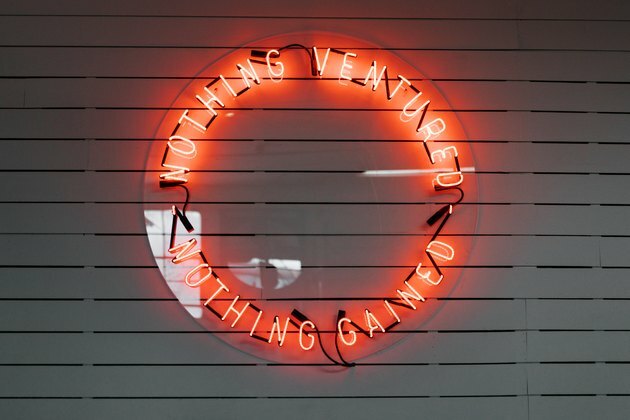 The unifying mission of all of the brands under Lynch's care, whether his own or otherwise, is captured in neon: Nothing ventured, nothing gained.